Frozen avocado puree is ready to use in guacamole, smoothies, or salad dressings. 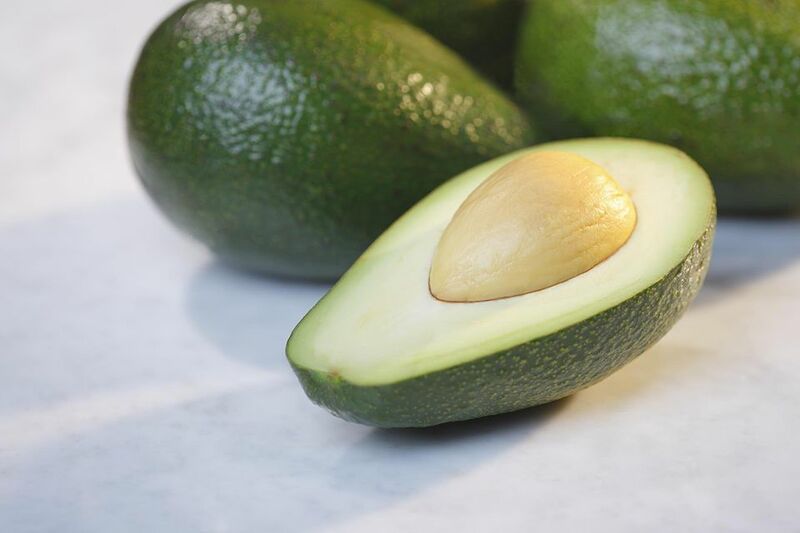 Before freezing them, leave unripe avocados out at room temperature until they ripen enough that the flesh gives easily when you press on the skin with your thumb. Cut each avocado in half lengthwise. Whack a chef’s knife (carefully) into the center of the large avocado pit and give it a twist. The avocado pit will come right out. Scoop out the ripe avocado flesh with a spoon. Alternatively, score the flesh with a paring knife into cubes or slices and then peel the pieces away from the skin. Place the avocado flesh into a blender or, preferably, a food processor. Add 1 tablespoon of lemon or lime juice per 8 ounces avocado flesh (about 1 medium avocado). The acidity of the citrus juice prevents discoloration, and the bright flavor is a plus in guacamole or salad dressing later on. Puree the avocado and citrus juice until very smooth. Transfer the puree to freezer bags or containers. If using bags, press out as much air as possible before sealing. If using freezer containers, leave 1 inch of head space because the avocado will expand somewhat as it freezes. Seal and label. Frozen, acidified avocado puree can go directly into blended smoothies. For guacamole, salad dressing, taco topping, or other uses, thaw the avocado before using it. Do not try to freeze avocado chunks, slices, or entire halves. Their texture and color don’t hold up well after they have been frozen. Even mashed avocado doesn’t freeze well. The reason the smooth puree freezes so much better is that the acidity of the added citrus juice is evenly distributed throughout the avocado product. If, like us at mexican restaurant in Santa Rosa, CA, you prefer your guacamole mashed and somewhat chunky, here’s what you can do to improve the texture: add roughly mashed or chopped fresh avocado to the frozen and thawed avocado puree.